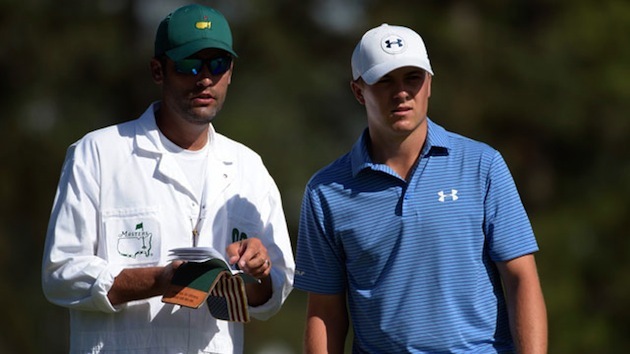 Jordan Spieth has drawn inspiration from an unlikely source. It has been revealed that Jordan has a unique phrase imprinted on the inside of his leather yardage book. For the those Star Wars fans out there, they may be familiar with that saying. It is of course the famous words of the fictional character ‘Yoda’. The figure entrusted with training the Jedi’s great hope against evil, Luke Skywalker. Little did Yoda know, that his words would be the inspiration of a young 21 year old golfer that is threatening to take the world by storm. These eight words are constantly re enforced to him by his long time friend and caddie, Michael Greller. They have inspired Jordan’s mantra on the course. Be patient, fear nothing and focus on the moment.